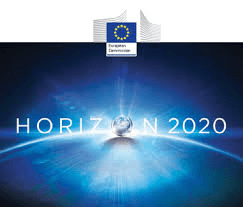 Description: Critical infrastructure (CI) provides the essential functions and services that support European societal, economic and environmental systems. As both natural and man-made disaster and crises situations become more common place, the need to ensure the resilience of CI so that it is capable of withstanding, adapting and recovering from adverse events is paramount. Moving resilience from a conceptual understanding to applied, operational measures that integrate best practice from the related realm of risk management and vulnerability assessment is the focus of the RESILENS project. RESILENS developed a European Resilience Management Guideline (ERMG) to support the practical application of resilience to all CI sectors. Accompanying the ERMG is a Resilience Management Matrix and Audit Toolkit which enables a resilience score to be attached to an individual CI, organisation (e.g. CI provider) and at different spatial scales (urban, regional, national and transboundary) which can then be iteratively used to direct users to resilience measures that will increase their benchmarked future score. Other resilience methods including substitution processes and measures to tackle cascading effects have also be developed. The ERMG and resilience management methods have been tested and validated through stakeholder engagement, table-top exercises and three large scale pilots (transport CI, electricity CI and water CI). The ERMG and accompanying resilience methods are hosted on an interactive web-based platform, the RESILENS Decision Support Platform (RES-DSP). The RES-DSP also hosts an e-learning hub that will provide further guidance and training on CI resilience. 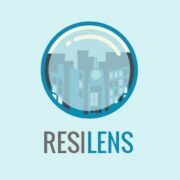 Overall, RESILENS aims to increase and optimise the uptake of resilience measures by CI providers and guardians, first responders, civil protection personnel and wider societal stakeholders of Member States and Associated Countries.